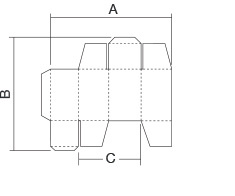 Without pre-folding section suitable for straight-line boxes. 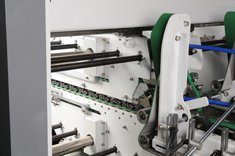 Without pre-folding section suitable for straight-line, crash-lock bottom & double wall boxes. Suitable for straight-line, crash-lock bottom & double wall boxes. 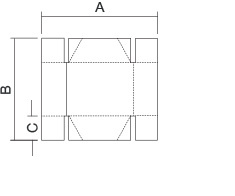 Suitable for straight-line, crash-lock bottom, double wall, 4 & 6-corner boxes. 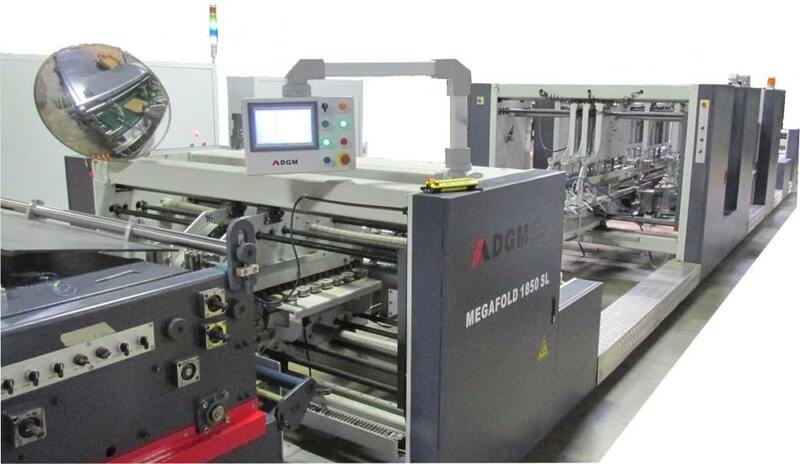 MEGAFOLD-1850 Perfect solution to work with medium and large sized boxes in the heavy packaging industry. 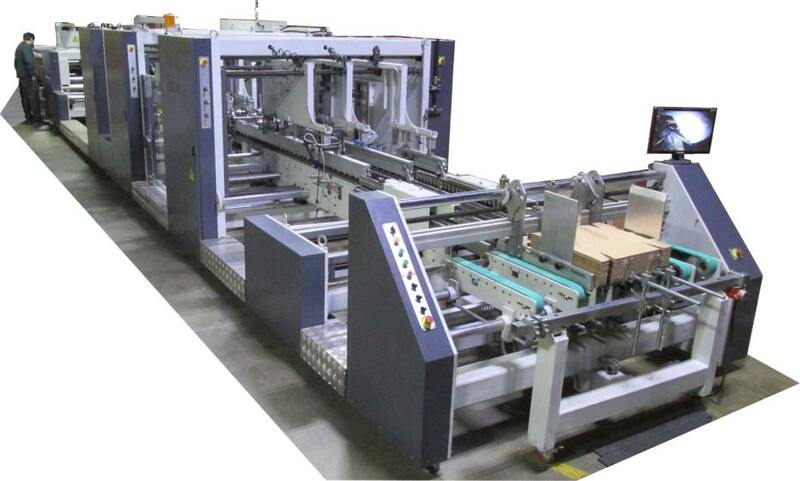 With high productivity, it offers the flexibility to run thin solid board to thick corrugated carton. · Modular design allows different configurations, to meet customer’s needs. · Wide range of accessories that allows to run thousands of designs. 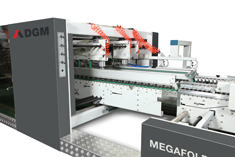 · Fast, steady and precise machine, easy to set up and operate. 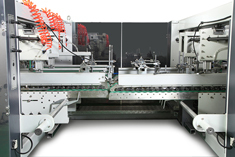 · All sections with independent servo-motor driving system. 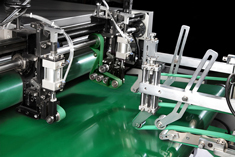 · Motorized carrier movement with high precision linear guides. · Memory function to save repetitive jobs. Friction feeder. Independently driven by servo-motor. Lateral feed gates fully adjustable to the width of the blank. Three adjustable front feed knives with bogies and three additional smaller sets. 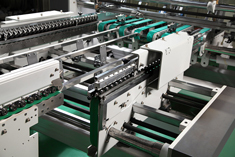 Six feeder belts including 4 perforated belts for suction/vacuum function. Control panel with touch screen and buttons for all operations. Extendable rear pile support for long boxes. 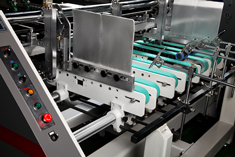 Independent section that registers the blank to one side ensuring with a perfect parallelism before entering the pre-folding or gluing section. Possibility to register the blank on either side of the machine. Complete set of folding hooks and helixes for smooth and accurate folding of front flaps. Two lower (left and right) gluing tanks. 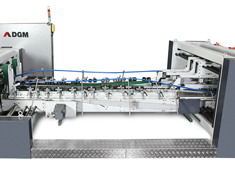 Electronic upper gluing system by guns (Optional). Outer folding belts adjustable up to 180° with variable speed controlled by two independent servo-motors, L & R side. Three sets of upper and lower carriers with 34mm upper, 50 mm lower and 100 mm outer belts. 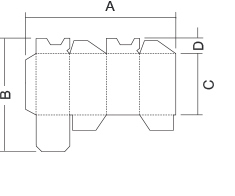 Upper and lower drive mechanism for length adjustment. Allows a perfect understack or overstack stream of boxes into the compression section. 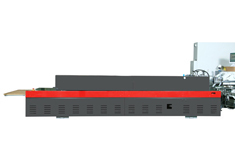 Continuous and automatic box collection mechanism that ensures a neat transfer to the Compression/Press section, guaranteeing a well aligned flow. 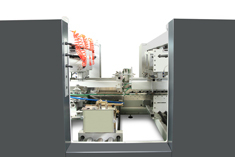 Pneumatic squaring device for accurate closing of crash lock bottom boxes. Aluminum plates stop the box while the upper trombone belts correct any deviation on the closing. The box is released after correction. Motorized and pneumatic squaring device in the entry of the compression section. 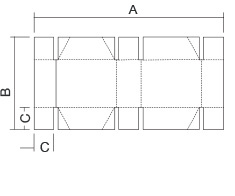 Two carriers with transport belts allow a perfect flow of boxes into the compression section. 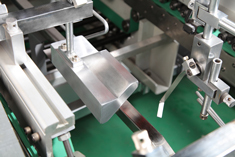 Rear stack corrector, that allows the squaring of the boxes while falling on the lower conveyor. Independently motorized pneumatic compression section. Upper section moves back and forward through a motorized system, allowing easy setup for different box lengths. 6.5 meters total length with 4 meters of effective pressure length. 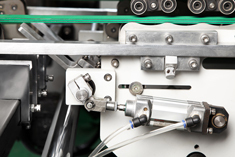 Pneumatic pressure adjustment and regulation. Motorized and untimed electronic back folding with intelligent servo motor technology. Two independent servo motors, one for each shaft. Versatile and easy to setup.